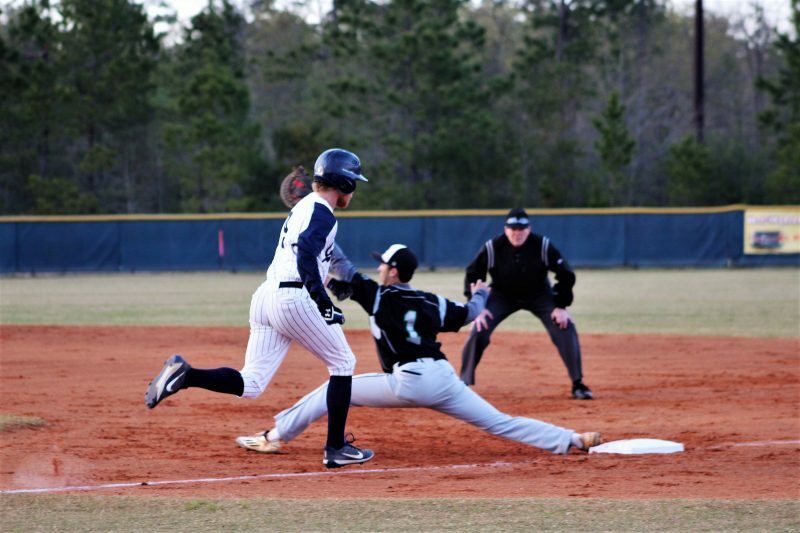 Colleton County High School Cougars Varsity Baseball team struggled against Hilton Head March 27th losing 0 to 9. 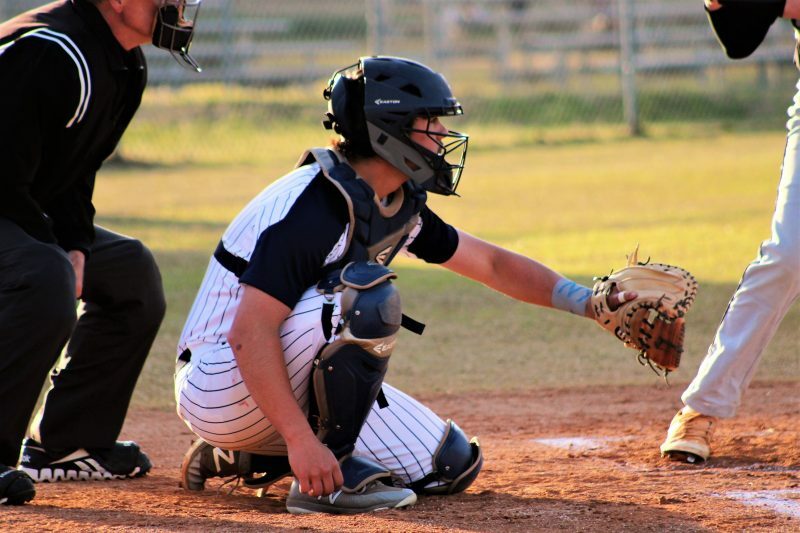 “Hilton Head hit the ball and ran the bases well, and we were off balanced offensively. That’s baseball, sooner or later you’re bound to run into a little funk. But our guys are mentally tough enough to bounce back. We’ve been in a similar situation before,” said CCHS Varsity Head Baseball Coach Jermale Paige. On Friday, the Cougars had a huge win against Hilton Head, 4 to 2. “We did not win the series, but we found a way to get a much-needed victory,” added Coach Paige. Lane Lee took the mound for the Cougars and gave it his all. Lee knew this was big for his team so he stepped up in a big situation. Henry Gibson got the bats started for the Cougars going with a two-out single down right field. Ben Kennedy followed him up with an infield single. That set the table for Lee who roped a double in left-center gap scoring Gibson and Kennedy. Jackson Morelli led off the bottom of the fourth inning for the Cougars with a triple. Wes Bryan came through clutching a two-out single, scoring Morelli. Kennedy wrapped things up by scoring Jackson Bell on a sacrifice fly to center field. Monday the Cougars hosted Bluffton, with Chase Hadwin doing a phenomenal job on the mound, as he has done all year, getting the win 2 to 0. “The bats didn’t wake up as we wanted them too, but it was enough to get the job done,” said Coach Paige. Gibson got the Cougars going with an RBI single into center field in the bottom of the third. Bell capped things off the next inning with an RBI double down right field line scoring Joshua Caldwell. Bell also led the Cougars offensively going 2 for 2 with two doubles and an RBI. Bryan also had two singles, going 2 for 3 on the night. The Cougars were on the road Wednesday to face Bluffton at 7:00 pm, but as of press deadline, we had not received any results. The Cougars will host Bluffton Friday with game time at 6:30 pm. Come out and support these young guys as they are in region play, you won’t be disappointed.